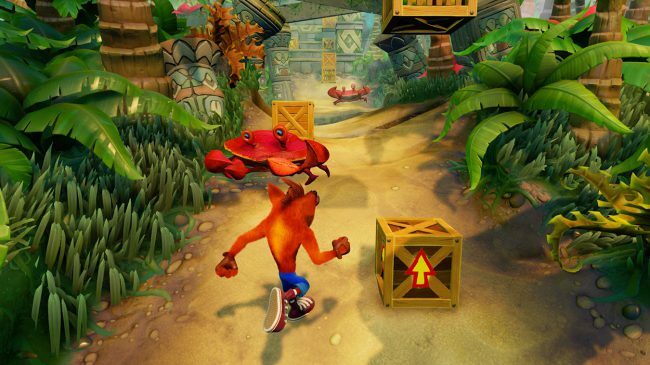 Everyone’s favorite Bandicoot is back, and Crash hasn’t aged a day; Even in 4k, he has no wrinkles! That’s right folks, the classic trilogy is back and looking even better than before. Remember a day, a long…long time ago when Sony came out with their own Mario. I guess it was Naughty Dog that came out with it, but for the sake of the story, you’ll just have to bare with me. The year was 1996, and we discovered a new species of animal, a bandicoot named Crash. And we were delighted to have a platform superstar that wasn’t named Mario to play with on a system that wasn’t a Nintendo. An incredible time, with an incredible game. As far as platformers go, Crash Bandicoot was beautifully done. Stages in 2d, and 3d to keep us on our toes. Fun characters we fell in love with instantly. This game spawned several sequels. Much like Mario, they weren’t all winners; however, Crash Bandicoot 2: Cortex Strikes Back and Crash Bandicoot Warped were beloved, and still are today which is why all three games were released on our new-gen consoles in stunning 4k (where supported). That’s right folks, you can play as your favorite characters once again as you battle it out against the evil Dr. Neo Cortex and his minions. The best part? You get all 3 games packaged together for the low, low price of $39.99. One of the best deals of the year when it comes to the must-have titles. Why buy a game that is now old enough to drink? First off, like I mentioned before it is now playable in 4k which is a HUGE leap from the Playstation One graphics, which does not age well. 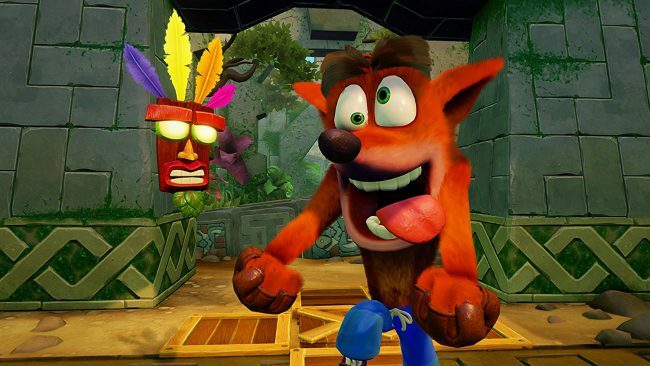 This remastered classic allows it to remain relevant in 2018, and a great opportunity for those of you who weren’t lucky enough to experience Crash and all his shenanigans first hand back in the day. Several animations have been tweaked to look and play even better than it did originally. Into speedrunning through games? You can now play all three games in Time Trials. Have a steady hand and a quick eye? Work your way on top of the leaderboards and dominate your friends. Remember Crash’s lil’ sis Coco? She’s back as a playable character in all three games now. What more can a fan of the franchise ask for? 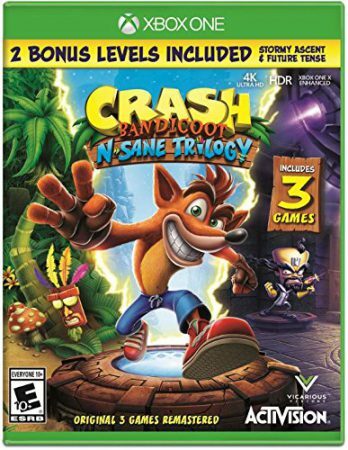 While Crash Bandicoot N-Sane Trilogy has been available for the Playstation 4 for a little while now, all other platform players can rejoice now that it can be played on the Xbox One, Nintendo Switch, PC and of course the Playstation 4. I got to take it for a spin on the Xbox and I was not disappointed. Sure, I felt old knowing that I’m playing a game that I originally played 21 years ago, but I was excited to do so. This game brought back so many wonderful memories, and also reminded me how terrible I was a certain levels. While hard work eventually prevailed, the challenge is real folks. We often forget about how much we sucked at these old-school platformers, and this game is here to remind you. The game is smooth, much smoother than ever before. No more little hiccups in the animations, no more clipping, and overall just a lot of fun. This game is made for anyone and everyone. Want to delight your children with a game you grew up with without them making fun of you for how poorly it looks now? Then you have to pick up Crash Bandicoot N-Sane Trilogy. Like I mentioned before, you can get all three games bundled together for less than 40 bones. This is one of the best releases of 2018 in my book. Grab your copy today from any place that sells awesome games or order it right this second by clicking here!